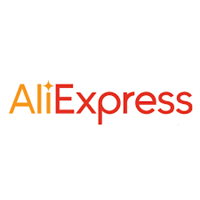 AliExpress is a global e-commerce platform made up of small business sellers offering a wide variety of consumer products worldwide. Launched in April 2010, AliExpress (www.aliexpress.com) is a global retail marketplace targeted at consumers worldwide, many of them located in Russia, the United States, and Brazil. The platform enables consumers from around the world to buy directly from wholesalers and manufacturers in China and have access to a wide variety of products at wholesale prices. AliExpress is a business within Alibaba Group.